Welcome everyone. For those of you who don’t know me, my name is Luke Fischer. I’m a poet and philosopher, and this afternoon I have the great pleasure and honour of launching Brook Emery’s splendid new book of poems, his fifth collection have been and are, published by the new Melbourne press Gloria SMH. Jacinta Le Plastrier, whom many of you would also know as the current director of Australian Poetry and who formerly worked at John Leonard Press, is the publisher and co-founder of Gloria SMH. At the outset I’d like to congratulate Jacinta and her colleagues on the beautiful production and design of this book. While I am quite used to swapping between my philosopher’s hat and my poet’s hat, in certain cases this is neither appropriate nor adequate. Sometimes it is necessary to wear both hats at once, one balanced on top of the other, or the two stitched together. This is eminently the case with respect to Brook Emery’s poetry. At times, when art and poetry aim for a philosophical significance they end up reproducing in an inferior manner a theoretical content that would be better articulated in a philosophical treatise or essay. This is evident in what for the present purposes I will call ‘second-rate conceptual art’. However, this is not true of the best conceptual art nor is it true of Brook Emery’s poetry. The philosophising that takes place in Brook’s poetry, both at the level of form and content, is worked out poetically, is native to the poetry, and in significant respects gets at aspects of experience and the world in a manner that surpasses conventional modes of philosophical articulation. For instance, the question and nature of embodiment and perception are key concerns of philosophers, but there are few, if any, philosophers who are able to describe embodied experience as richly and concretely as Brook’s poetry. In addition, whereas philosophers usually present their readers with their polished arguments and conclusions, Brook’s poetry invites the reader into a philosophy in process, the mind at work in questioning and deliberating. There are, of course, important strands of twentieth and twenty-first century European thought in which philosophical writing has become more literary and poetic than it has traditionally been. In this respect Brook’s poetry can be viewed as a significant contribution within a larger cultural movement in which philosophy approaches poetry and poetry approaches philosophy. The title of Brook’s new book, have been and are, is extracted from the last sentence of Charles Darwin’s Origin of Species, and intimates a central theme of the book: the relation between past and present, and time in its various forms and scales, including the geological time of evolution, human history, autobiography, transience and human mortality. The full sentence from Darwin is also the title of the penultimate poem: ‘Endless forms most beautiful and wonderful / have been and are being evolved’. And Brook’s poems relatedly suggest how the continuity between past and present lies in change and transformation, and the present is evolving into the future. have been and are is at once expansive in its explorations of diverse and significant themes and impressively cohesive, a livre composé. The titles of all the poems, except the final one, are quotations selected from a wide range of texts by poets, philosophers, scientists, novelists, historians, anthropologists, musicians, artists, and others… Each poem responds to, expands on, subtly critiques or digresses from the content suggested by its title-quotation. What is implied by much poetry, namely that each poem one writes is in conversation with other poems and poets, and with poetic traditions as one understands and evaluates them, is explicitly embedded in the book’s architectonic and inner workings. The individual poems are also filled with direct references as well as subtle allusions to other texts and thereby develop further intertextual connections. The book’s cohesiveness is also evident in the way each poem picks up or develops a thread from the preceding poem. Every poem ends with an ellipsis, which serves to indicate its open-endedness and its anticipation of the subsequent poem as a complement and supplement to what has thus far been elaborated. The themes of the book organically emerge, develop and transform, and the poems enter into dialogue with one another as well as with the reader. As suggested by the epigraph from Virginia Woolf that opens the collection, we find ‘a voice answering a voice’, including the poet speaking and responding to himself. At both a macro and a micro scale the structure of the book reflects the title-quotation of one of the poems, which is taken from the American poet Robert Hass: ‘Echo, repetition, statement / and counterstatement, digression and return’. While at the level of form and content Brook is interested in the possibility of cohesiveness, he is opposed to any kind of closure. Brook is just as interested, if not more interested, in the ways in which we misconstrue ourselves and the world as he is in experiences of belonging. In this poetry we find a poet-philosopher restlessly interrogating what in German Idealist philosophy was called the Absolute, a supposed ultimate unity of mind and world, spirit and nature, thought and being. For Brook any sense of ultimate unity can only be momentary or provisional and thus not ultimate: the feeling of beauty or harmony fades, what we assume to be true is subject to revision. A significant philosophical insight underlies Brook’s emphasis on both the necessity of a relationship between self and world and a disjunction between them. The very problem of knowledge presupposes disunity as a starting point. An omniscient god would know and experience unity but would have no questions and could not make errors of judgment. There would be no problem of knowledge as everything would be ever-present and evident. As human adults we also do not have the option of retreating into a prelapsarian existence, of returning to childhood, or of enjoying the unknowing unity and bliss that Rilke ascribed to primitive animals, which possess sentience but are far from the human form of self-consciousness that divides us from any immediate sense of oneness with the world. It is the gap between ourselves and the world, language and experience, thought and being that makes it possible for us to establish some connection between them. In one of the late poems in have been and are Brook develops this notion with the image of shadows: ‘Shadows are an intercession / between me and not me, a suspension // between “I feel” and “it must mean.” Words / shadow other words, shadow other worlds…’ There is a slight gap between what we aim to say and what we manage to say. The very first poem includes the following lines near its beginning: ‘There’s a dappled light falling / across my forearms… Mmm…there’s that word ‘dappled’, that won’t do. 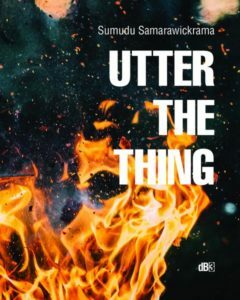 It’s not a bad word…’ and the poem proceeds to reflect on the spaces and connections between linguistic predication and being. It is worthwhile to mention that Brook’s interrogation of how we speak about the natural environment makes a valuable and thought-provoking contribution to crucial concerns of contemporary ecocritical theory and ecopoetics, and the specific need to find a way of bridging a postmodern awareness of the constructive role of language with a realism about the natural world that is being destroyed. One of the many remarkable features of Brook’s poetry is the protean way in which it moves between walking, swimming or body-surfing and speculation, evocative description and philosophical reflection, and also seamlessly unites them. Take this description involving seaweed: ‘I float on my belly as still as can be /in the softly lulling swell. Sea-grasses / and rasp-edged kelp float back and forth in unison / or a quarter tone off key, caught and tweaked / by competing currents.’ We have here at one and the same time a vivid image of floating seaweed and the encapsulation of a broad philosophical idea that there is a cohesion to the world but not a perfect harmony; the musical metaphor of a choir singing in unison is qualified by the subsequent judgement that the voices are a ‘quarter tone off key’. a passage through split rock (weather-dulled, oxide blotched). picking out this or that, catching at the eye. The poem opens by drawing us into its descriptions of scenery from a remembered train trip, but then as though telling the reader not to get too absorbed, not to fall asleep, we encounter the self-reflexive line: ‘I am inventing this, the verbal surface of things…’ Children, when they watch a puppet show, almost take the puppets for animate creatures and are oblivious of the human hands, rods, and strings operating behind the scenes. In Brook’s poem it’s as though the show were interrupted mid-scene and the instruments exposed to view, but in this case the instrument is language. It is arguable that the advent of free verse as a dominant approach to writing poetry in the early twentieth century reflects a larger cultural process of fragmentation and individuation, of dissonance between the individual and the collective. Brook himself places this development within a broad historical context when he writes: ‘The old verities – Christianity, Communism, rhyme and metre – are dimmed…’ Nevertheless, even though free verse cannot adopt a pregiven form, this does not mean that it is formless or arbitrary, that it lacks aesthetic cohesion. T. S. Eliot famously criticised, as did Denise Levertov later in the twentieth century, the adjective ‘free’ in ‘free verse’ because of its implication of arbitrariness. While I don’t share this objection because there are other relevant ways of construing the word ‘free’, the significant point is that any successful poem must convince us that there is an integrity or even necessity in the way it is constructed. Brook’s poems are assiduously and masterfully crafted free verse compositions, which reflect and embody the dynamism of his poetic philosophy. They at once accentuate the temporality of the unfolding poem and the temporality of thought in progress. Like the pre-Socratic philosopher Heraclitus, as well as Hegel and Heidegger, Brook has a deep interest in contradiction and apparent contradictions. He also loves paradoxes, oxymorons, chiasmi, and aporias. Like a poetic equivalent of Hegel’s progression of thought through the generation of contradictions in The Phenomenology of Spirit, there is a dialectical momentum to Brook’s poems. The very first poem in the collection begins with: ‘It’s not about me…and of course / it is.’ Not much later we find the statement: ‘This book is all about / how lucky I am to be walking under these trees…’ The reader can surmise that, of course, it is not really all about this, but only partly about this. The poems propel themselves forward through judgments that are shown to be provisional, through negations, qualifications, contrasting propositions, and revisions. The poem with a title drawn from Wallace Stevens, ‘The poem must / resist the intelligence almost successfully…’ begins as follows: ‘I’m dawdling. Killing time. Or time / is killing me…’. These lines employ a device that in classical rhetoric was distinguished as an antimetabole. The terms of the proposition ‘I’m…killing time’ are reversed in the statement ‘time is killing me’ to epigrammatic effect. Characteristically Brook has also placed an ‘or’ before ‘time is killing me’, highlighting the provisionality of this second judgment. If Brook were a painter, in an analogous manner to Cézanne’s late watercolours he would leave many white spaces in his paintings, so as to allow the viewer to imaginatively decide on how they might be filled in. Or he would paint his canvas in layers while ensuring that the later layers allow the earlier layers of paint to peer through. He certainly would not aim for the realism of the ancient Greek painter Zeuxis whose painted grapes were supposedly so realistic that birds flew down and pecked at them. Rather, he would leave clear evidence of the brushstrokes on the canvas. and simultaneously opaque: the texture of this world in time and place. While it has only been possible for me to touch on a few of the salient features and main themes of this wonderful and expansive book, I would like to at least mention one other poem. In a sequence of historico-political poems there is a long poem with a title-quotation from Joseph Conrad, ‘The brown current / ran swiftly out of the heart of darkness’. This complex and formally innovative poem intertwines an unfolding description of the natural environment of the eastern beaches of Sydney and its brutal history of colonisation with factual synopses and examples of the worst atrocities in human history from ancient times to the present day. Its masterful handling of this difficult material reminds the reader that Brook was a history teacher for twenty years. 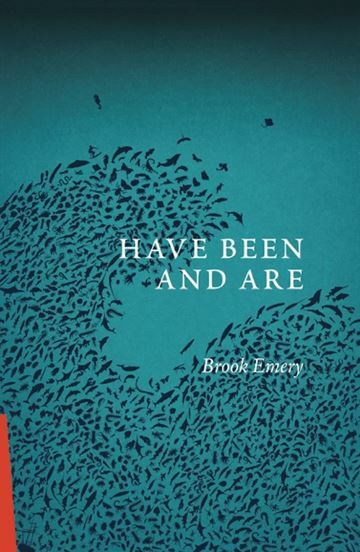 I wholeheartedly encourage you to buy, read, re-read, and think about Brook Emery’s new collection have been and are. I am delighted to declare the book launched.